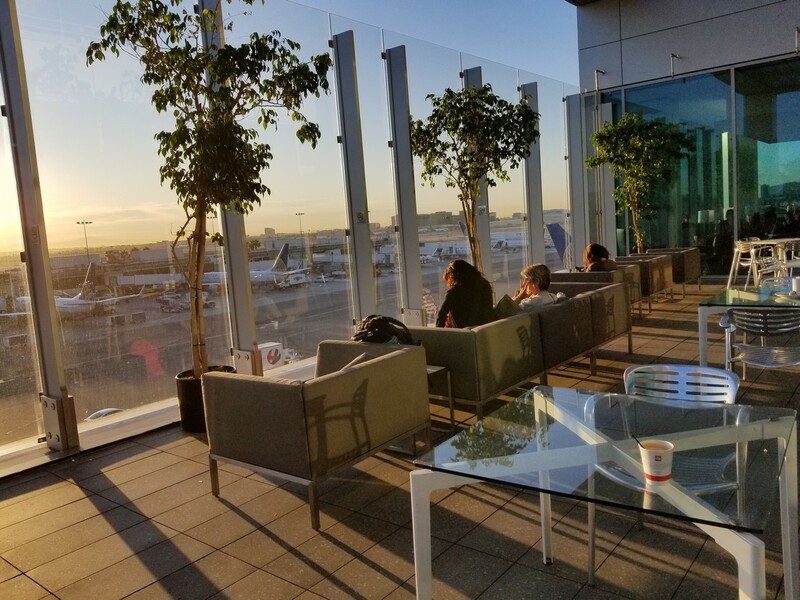 The United Club LAX Lounge Review is part of the South America & Africa Points Heist. A layover in Los Angeles could have turne‎d into a lengthy stopover following a day of drinking in Marina del Rey. Fortunately, the alarm clock at the Aloft LAX went off loudly enough to stir me from my sleep. The Aloft is only minutes away from LAX, giving me enough time to go to the lounge despite my tardy arrival. I am a fan of United’s navy blue. It is nicer than Delta’s blue. The lounge was decorated with shades of blue throughout, giving it a modern feel. I was in no condition to sit in the patio and enjoy the sunrise. For those that arrive well rested, I recommend sitting outside and taking in the scenery. As nice as the lounge looked, the food was pathetic. There were the tiniest, worst bagels I have ever had, oatmeal, and yogurt. That’s not the breakfast of champions. Still energized from the night before, I thought it wise to keep the party going with some Bloody Mary’s. Though delicious (and also better than Delta), it was not a prudent move to consume two of these.